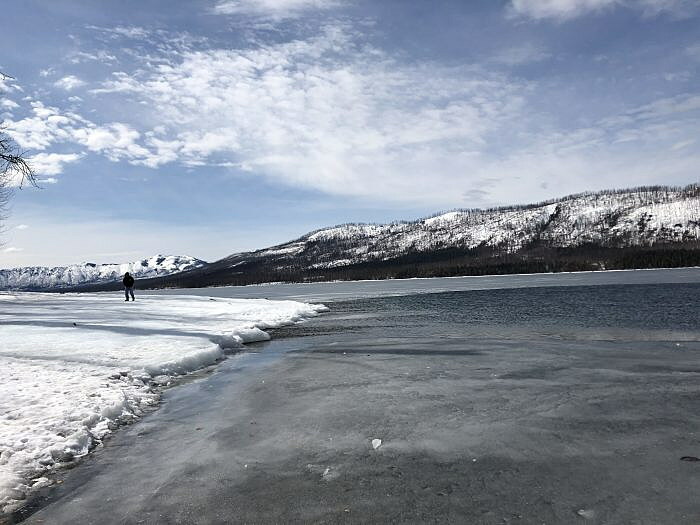 A Tempe, Arizona, man who died earlier this week in Lake McDonald became hypothermic after falling into the icy water and was unable to make his way back to the dock, the Flathead County Sheriff’s Office said Thursday. The man was identified as 48-year-old Wei Liu. He was reported missing Tuesday morning by a concerned family member, prompting a search that located his car in the Lake McDonald Lodge parking lot. Flathead County’s dive team found his body in the lake later that afternoon. The incident remains under investigation by Glacier National Park. The iconic lake on the park’s west side was frozen over during a cold snap earlier this month, but is now a mixture of open water and thin layers of ice. Glacier Park officials reiterated Thursday that all visitors should stay off Lake McDonald and away from rocks on its edge, lest they fall into the cold water. Drowning is one of the primary causes of visitor deaths in Glacier Park.